Click the image to the right to sign up! Greeters and Sign-in Team members help with the logistics of getting kids checked in and with their groups each night. If you’re good at smiling, this may be the position for you! Team Leaders are in charge of a group of around 40 kids, with 5 Team Helpers to assist them. The Leader is the “point person” for announcements during the evening as well as leading the group from event to event. 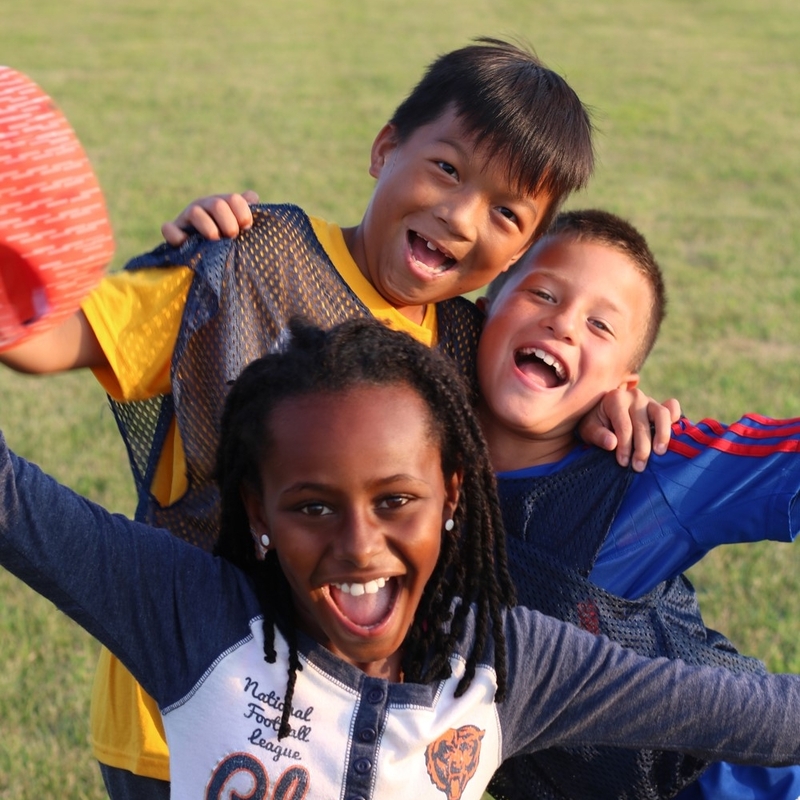 Soccer Coaches work together as a group of four to lead the soccer activity to a different group of kids each night. An experienced coach has volunteered to lead this, so you’ll take your cues from him if you’re not quite ready to be a futbol manager yourself! Basketball Coaches work together as a group of four to lead the basketball activity to a different group of kids each night. 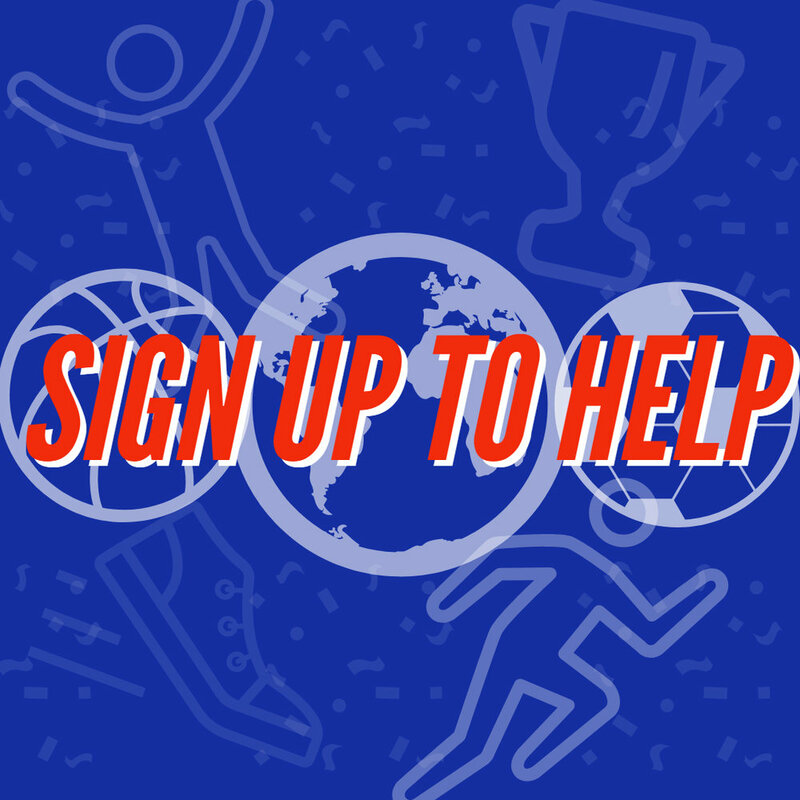 An experienced coach will be leading the basketball station, but we need some quality assistant coaches to make this a slam dunk. Inflatable Monitors will each be assigned to one of the awesome inflatable activities we will rent for the evenings of Cross Training. Your job would be to help kids understand how to safely have as much fun as possible on the activity you monitor. Ultimate Ultimate Coaches will work together as a group to lead our fun new game - Ultimate Ultimate - which is like Ultimate Frisbee’s crazy cousin. The rules are very simple, but the game is extra fun due to a whole lot of extra “throwables” - not just Frisbees, but also tennis balls, water balloons, splash balls, and more! Snack Station volunteers provide one of the most important parts of our evening: snacks! The ten Snack Station workers will prepare and serve a simple snack to each group every night, then clean up afterwards. Medical Assistance Team volunteers are an important layer of ensuring we provide the best experience possible for the kids who come. We are looking for at least one trained medical professional to be on site each evening in case of injury or illness. If you can help for just one day or all three, we'd be thankful to have you! Worship Leaders will create, teach, and lead motions for two songs during our assembly times. These songs have already been selected and will be played from a video recording for everyone to follow along.